Lucy Raymond is Professor of Medical Genetics and Neurodevelopment at the University of Cambridge and Honorary Consultant in Medical Genetics at Cambridge University Hospital, Cambridge Biomedical Campus, UK. Her research interest is understanding the genetic basis of intellectual disability and has identified disease causing genes over the years which have been rapidly translated into clinical service. She is a leader of large collaborative efforts to identify the remaining causes of rare disease genes where intellectual disability, epilepsy or neurological conditions predominate. 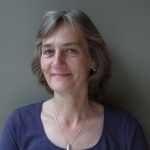 She is currently Assistant Director of the UK NIHR Rare Diseases Bioresource and Director of the East of England Genomics Medicine Centre that is delivering the 100K Genome Project for Rare Disease and Cancer.